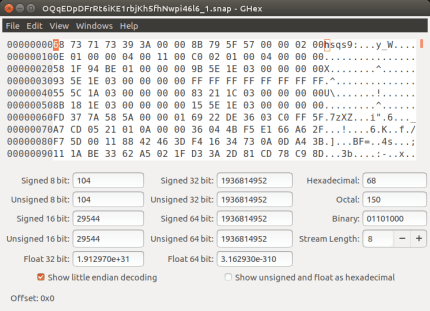 GHex can load raw data from binary files and display them for editing in the traditional hex editor view. The display is split in two columns, with hexadecimal values in one column and the ASCII representation in the other. A useful tool for working with raw data.